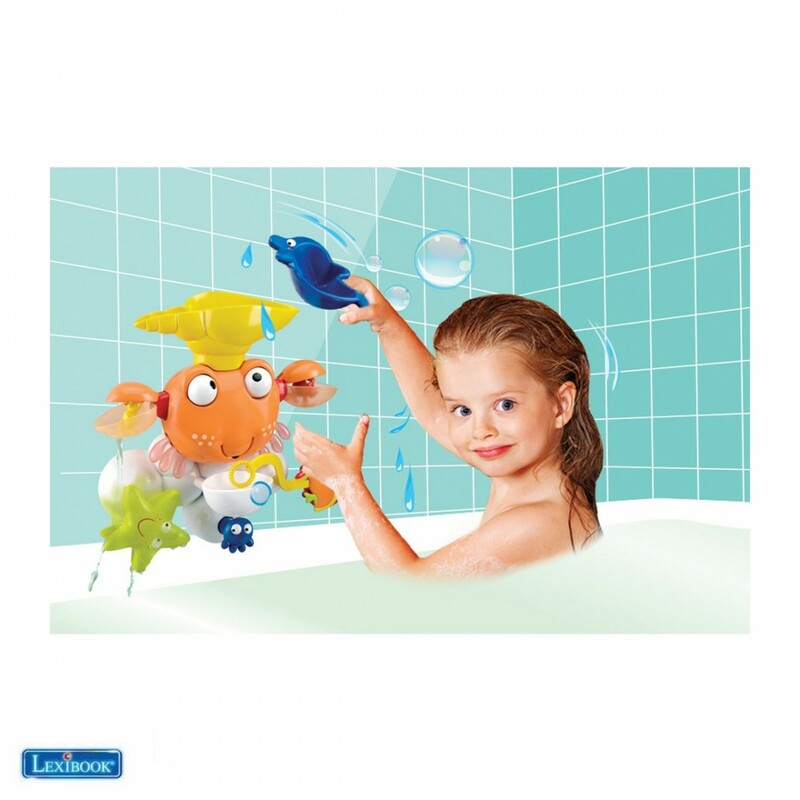 The cute companion of baby’s bath time! 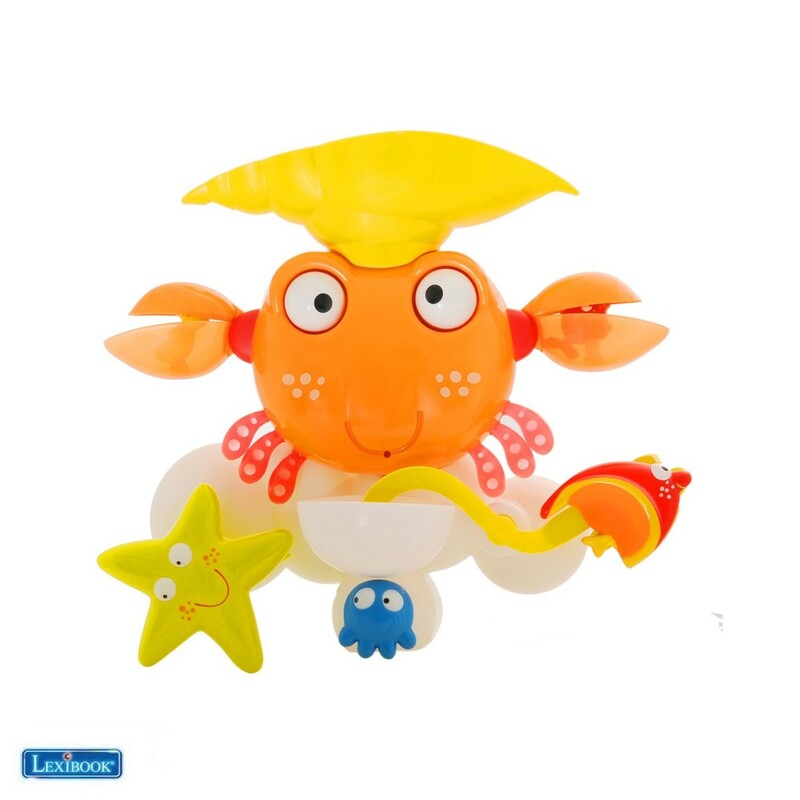 - Magic: Apply some soap on the bubble tank and press on the octopus and the bubbles are 'blown' from the crabs mouth! - Fabulous: under the e ect of water, the eyes turn and the legs move, the fish moves and swims! - Funny: the starfish turns when water runs over it! - Useful: The small shovel in the shape of a dolphin to pour water in the shell! 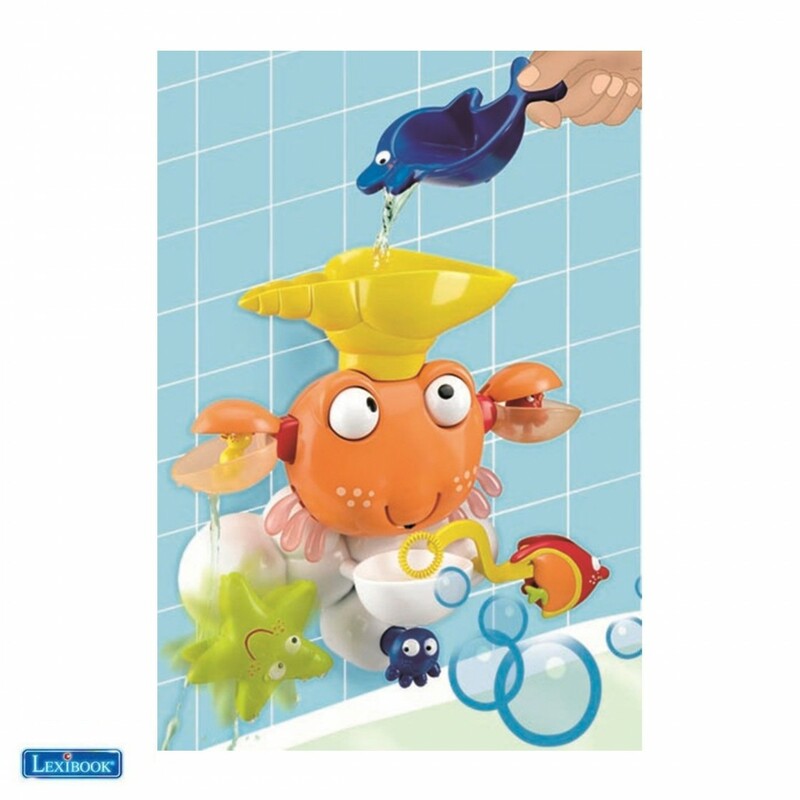 - Practical, 3 suction cups make fixing the Water Crab to the bath-tub or on tiling easy! 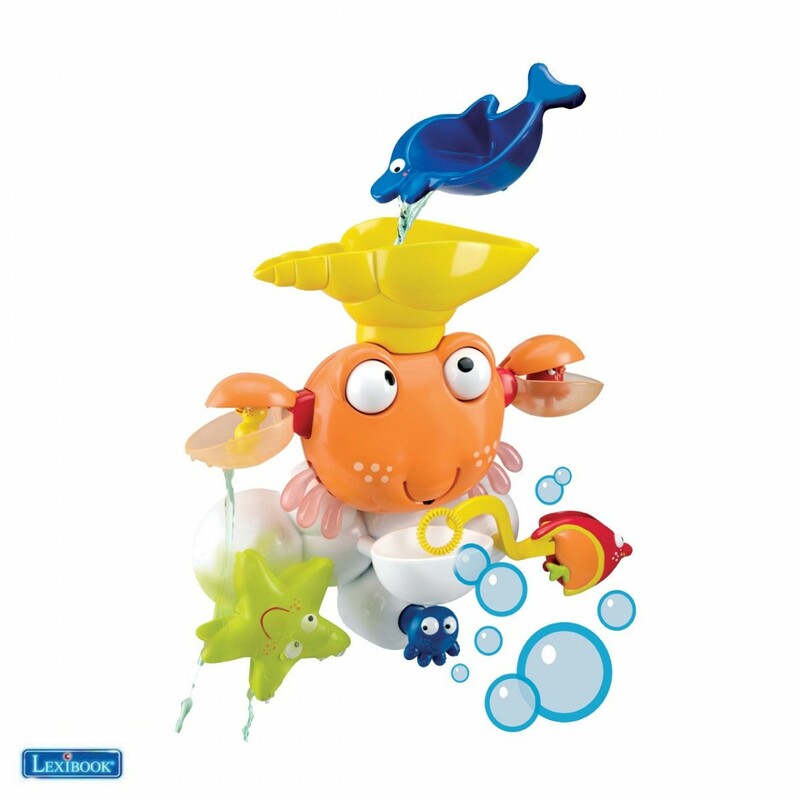 - To put it simple: the “Water Crab” is just liters of water, a bit of soap … And plenty of fun! 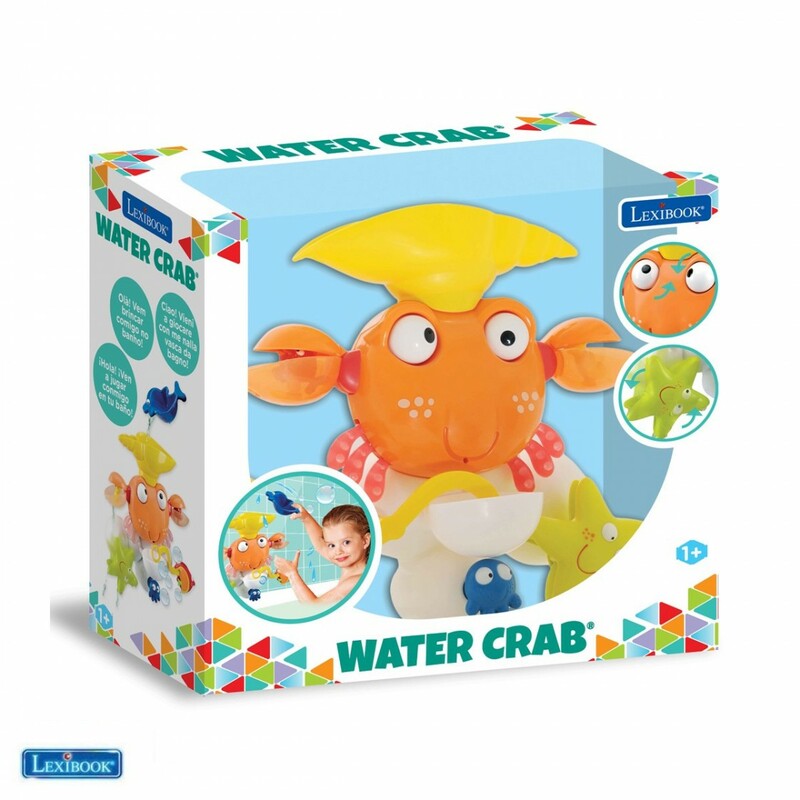 Review "Jeu de bain "Water Crab®", Crabe de bain"